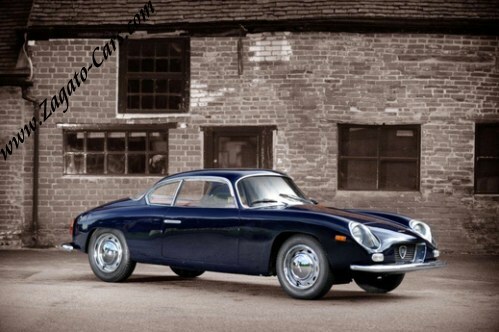 "The Lancia Appia saloon was introduced in 1953 as a replacement for the long serving Ardea with its most significant feature being the narrow angle V4 engine developed by legendary engineer, Vittorio Jano. 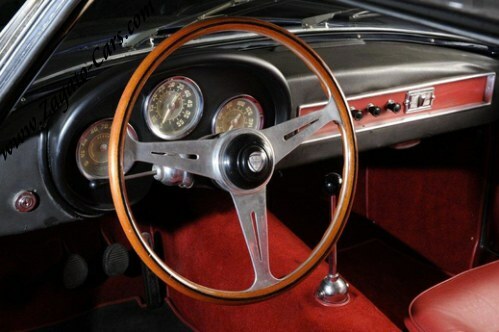 It was not until after the second series was introduced in 1956 that a chassis platform was made available to custom coachbuilders. 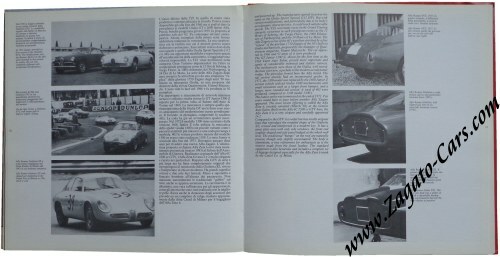 Initially Pininfarina was selected to build a coupé and Vignale was given the responsibility of producing both a 2 +2 Lusso and a convertible. 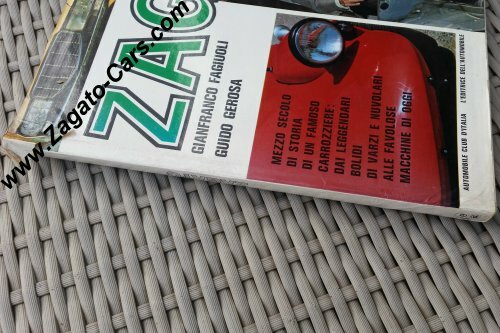 Zagato then began producing Appia bodies (the GTZ in 1957 and then GT in early1958) based on chassis secured from Lancia by customers. 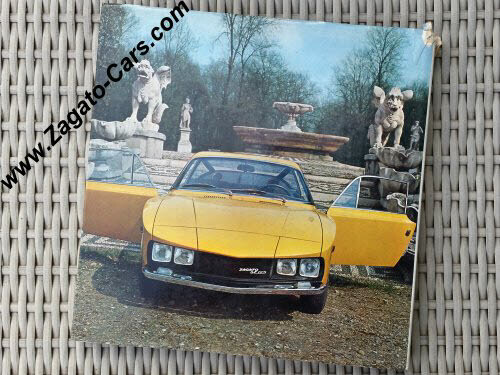 They did not become an official Lancia vendor until late 1958 with the introduction of the GTE (Gran Turismo Esportazione) and the final Sport model. Over this time power output rose from 48 bhp, then to 53 bhp and finally 60 bhp for the later GTE and Sport models. 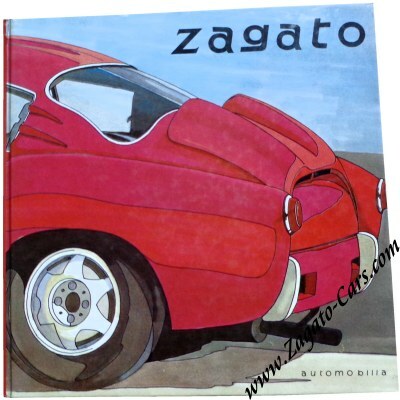 Zagato built 550 Appia's of all types. 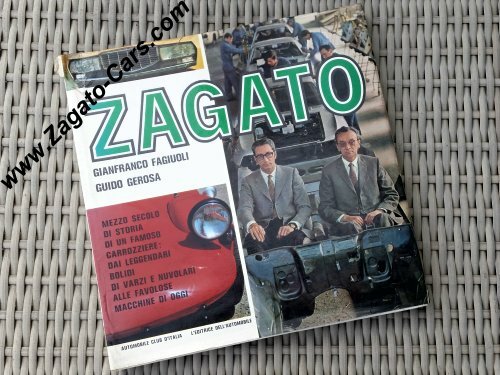 There were 39 GTZ's and GT's built prior to Zagato becoming an authorized Lancia coachbuilder. 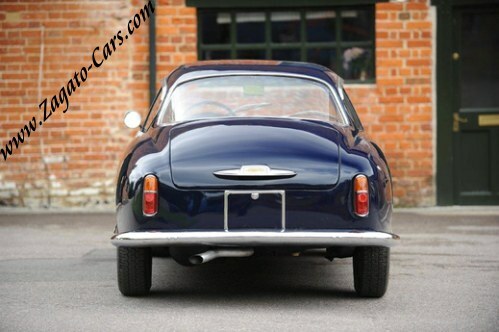 The styling on these early cars varied greatly from one car to the next. A few had "double bubble" roofs but nearly all had small fins mounted on their rear top fender edges. Some had flush mounted, open headlights while others had recessed, covered headlights. These initial cars were followed by three different series of GTE's made up of 167 covered headlight cars and 144 recessed open headlight cars. 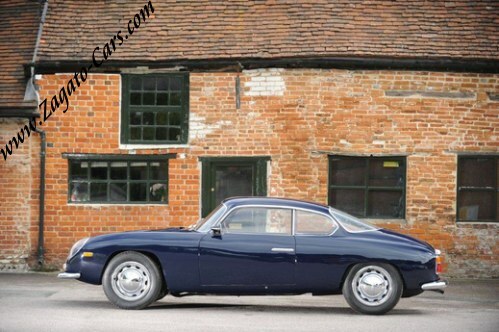 One of the rarest and most desirable of Appia variants is this left-hand drive GTE Coupe which is typical of Zagato's work of the period. 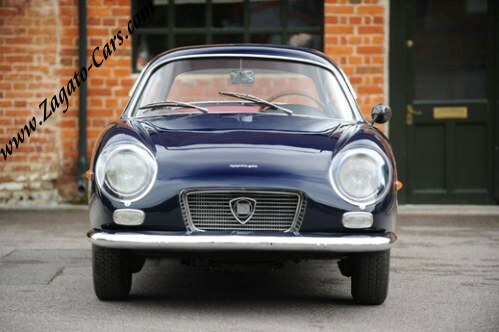 Chassis number 81201-2965 comes from long term ownership and looks fantastic. Best described as a very original example that has been repainted and re-trimmed, it also retains many features that have often become damaged or discarded over the years. All external trim finishes, such as the curvaceous roof-line follower, door handles and screen trims all remain in good order and even the window felt is original. The paint work has been attended to in recent years. The dark blue coat has been thickly applied but would still benefit from some sympathetic machine polishing should this be desired. 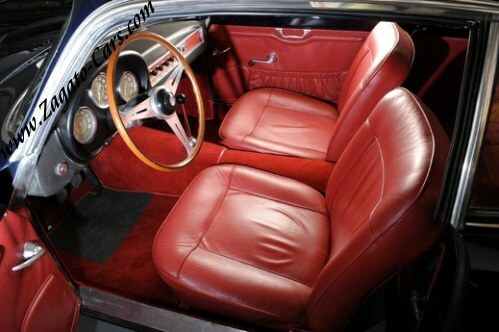 The interior has been re-trimmed in red leather to a very high standard compliant with the original pattern. The dashboard and dashboard top remain untouched and in fine fettle. 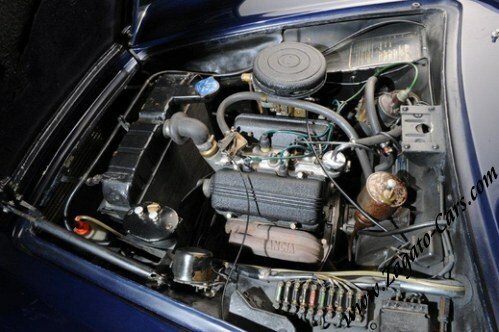 Mechanically, it starts and runs very well and it has received recent attention to the brakes in order to pass an MoT. 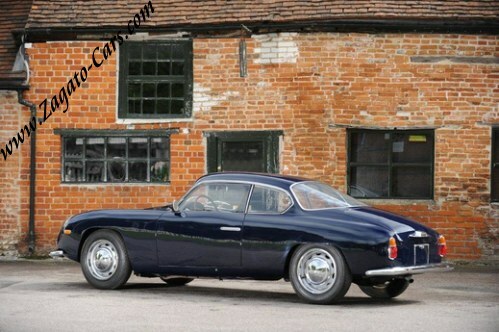 Offered with UK registration and presented in a stunning colour combination, this little Zagato offers a genuine investment opportunity as a coach built alloy bodied sports car that oozes 1960s style and exclusivity."